The truth is that while all these can be a good way to burn calories (and stress) there’s really only one effective way to get fit. Before I get into the nuts and bolts, it’s important that we agree on the definition of ‘fit’. Too often just being thin is mistaken for being fit, and that’s not what you should strive for. They have a low resting metabolism, since the less muscle present the fewer calories will be burned at rest. Their body won’t have useful strength for daily tasks, which, at best, will be discouraging as well as setting them up for injuries. Strength training is using resistance to challenge the muscles to improve strength and endurance. 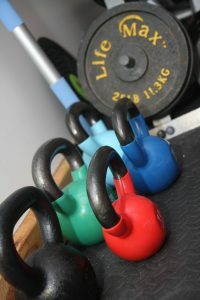 There are many tools you can use for strength training such as dumbbells, barbells, kettlebells, sandbags, resistance bands and even bodyweight to name a few. The key is to provide enough resistance to force the muscle to adapt. Only then will strength improve. If weight loss is a goal strength training helps you keep the muscle you have and ensures that weight loss comes from stored fat not crucial muscle. 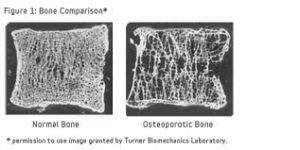 To Build Strong Bones: As we age osteoporosis or loss of bone density is a real threat that can have devastating consequences. Strength training is proven to improve bone density. For better sleep: Studies consistently show that strength training improves sleep, no sleeping pill needed. To alleviate Chronic Back Pain: Back pain affects 20-30% of Americans at any given time. It is the single leading cause of disability worldwide; it is one of the most common reasons for missed work. 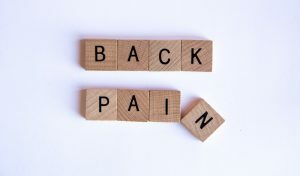 And American spend at least $50 billion each year on back pain1 If back pain is keeping you from the things you want or need to do, Strength training may be the cure you have been searching for. Improving the ratio of HDL Cholesterol to LDL and lowering Triglycerides Strength training can positively impact overall blood cholesterol levels for better heart health. By increasing the amount of muscle, you increase the number of calories your body burns. Higher metabolism means you will burn more calories even at rest allowing you to reduce body fat and help maintain a healthy body composition, a definite win-win. Losing pounds and inches off your trouble spots, improving heart health, sleeping better, and getting rid of persistent back pain doesn’t have to be a pipe dream. With the right training you can do all this and more. A better quality of life is waiting for you. Call today to get started on a strength training program and see how great you can look and feel. Back Pain Patient Outcomes Assessment Team (BOAT). In MEDTEP Update, Vol. 1 Issue 1, Agency for Health Care Policy and Research, Rockville, MD.